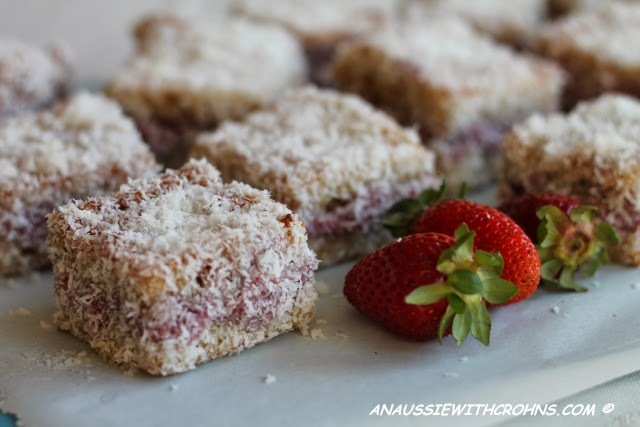 I LOVE Lamingtons! 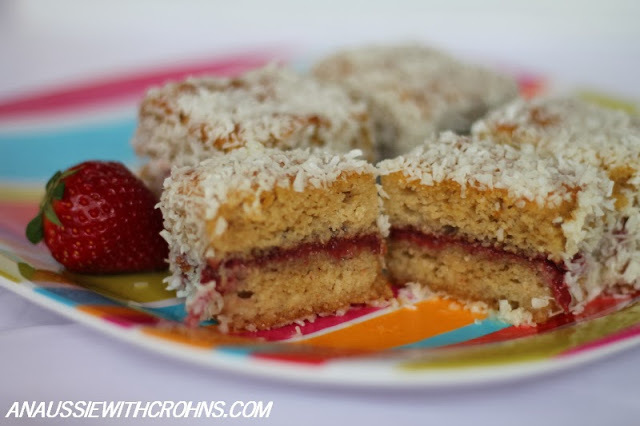 If you're not an Aussie, you may not have met these delicious cakes before. Well let me introduce you: They are a sponge cake, traditionally soaked in chocolate icing and rolled in coconut. Yum! 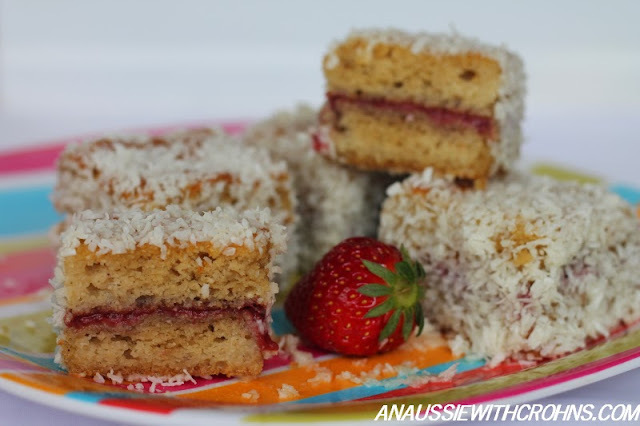 Home made versions are best, but they are sold in bakeries and supermarkets everywhere in Australia. This is my White Chocolate version (using cacao butter in the icing for the chocolate flavor) since cocoa isn't allowed on the Specific Carbohydrate Diet. 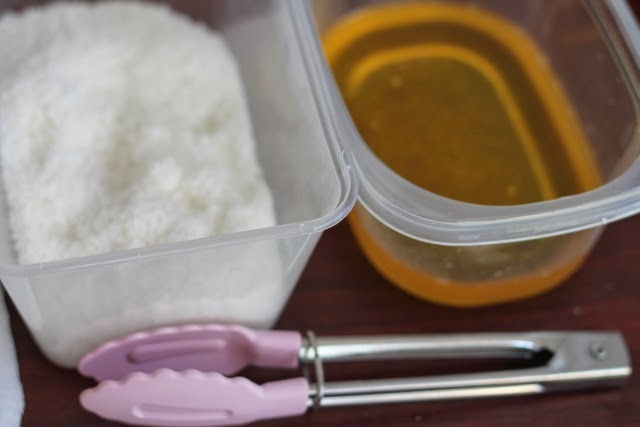 Add coconut flour, vanilla powder and baking soda to yolks & honey and beat until well combined. 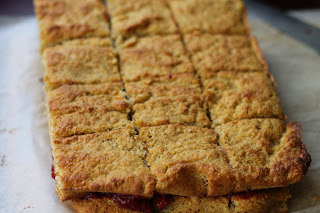 Spread into lined pan and bake for 12-15 mins until golden brown. When cake comes out of the oven, lift it from the pan using the baking paper. So excited to try this.....thank you for your wonderful recipes!!! Oh yes these look amazing!